Japan America Society of Southern California - Four Future Scenarios for North Korea: What Are the Implications for the United States and Japan, and How Should We Respond? Four Future Scenarios for North Korea: What Are the Implications for the United States and Japan, and How Should We Respond? Quantities limited; first come, first served with your RSVP. Dr. Michishita is a specialist in Japanese security and foreign policy as well as security issues on the Korean Peninsula. He is the author of North Korea's Military-Diplomatic Campaigns, 1966-2008 (Routledge, 2009) and Lessons of the Cold War in the Pacific(Woodrow Wilson Center, 2016). 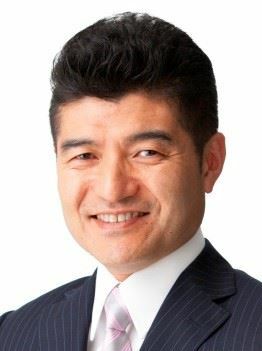 Dr. Michishita is also serving as a member of National Security Secretariat Advisory Board of the Government of Japan and a global fellow at the Woodrow Wilson International Center for Scholars in Washington DC. To RSVP, e-mail japanconsulatela@ls.mofa.go.jp with your name, title, company/school/other affiliation, and whether you require parking. By Car: Parking garage at Hollywood & Highland can be entered from Highland Avenue or Orange Drive. Free parking will be provided on a first-come, first-served basis with your RSVP. By Metro: The Metro Red Line, Hollywood/Highland station, is conveniently located directly below Hollywood & Highland.